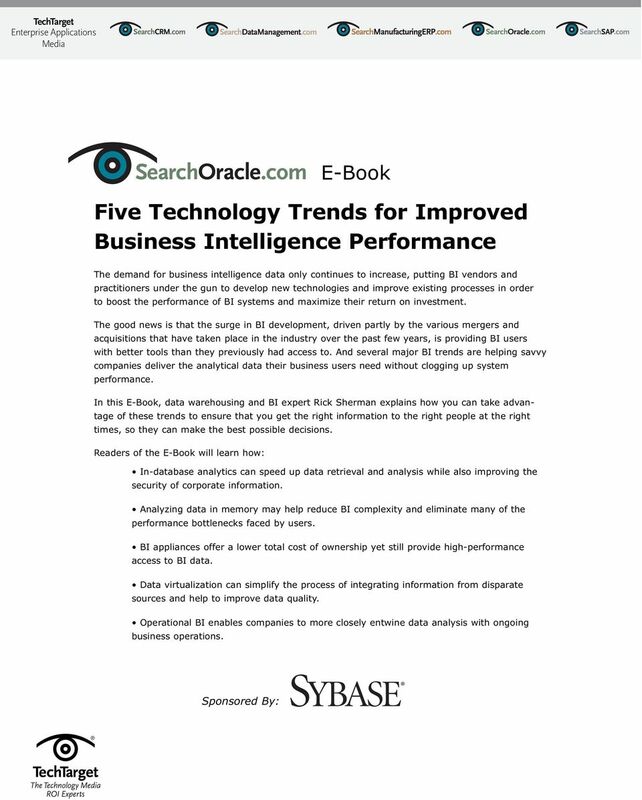 Download "Five Technology Trends for Improved Business Intelligence Performance"
6 smarter analytics is the power that drives the new business reality Unlimited headroom for data and users. Incremental scalability to grow and adapt. Faster, more accurate answers to complex questions. Deeper insight into risk and opportunity. Agility to adjust processes and programs. Investment for today and tomorrow. 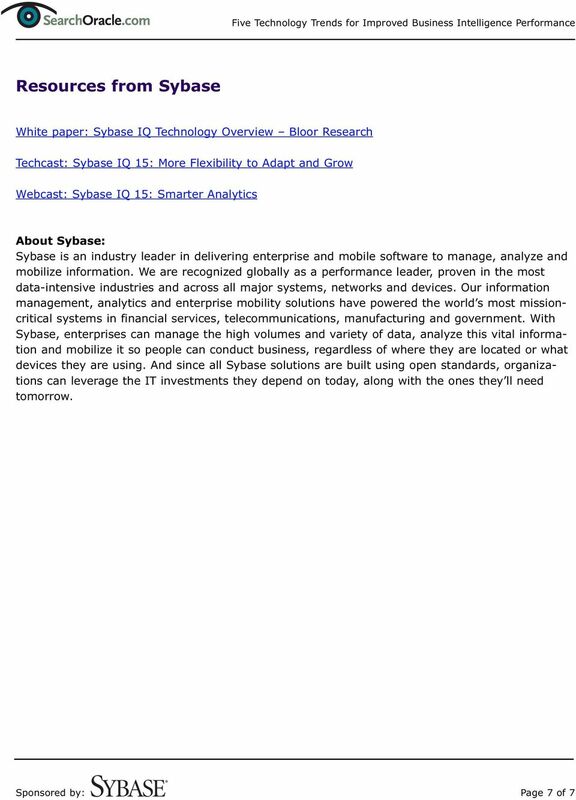 That's Sybase IQ. 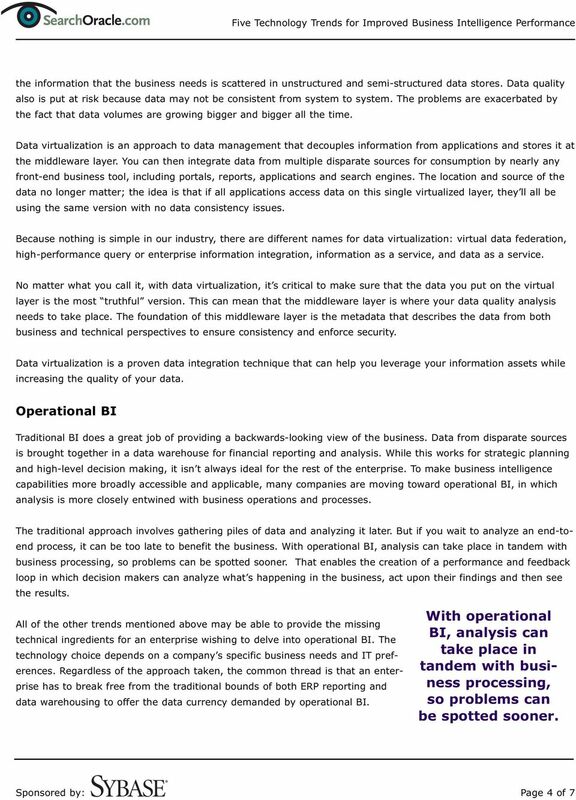 High-performance analytics proven in over 3,100 unique installations at 1,700+ companies. Copyright 2009 Sybase, Inc. Unpublished rights reserved. 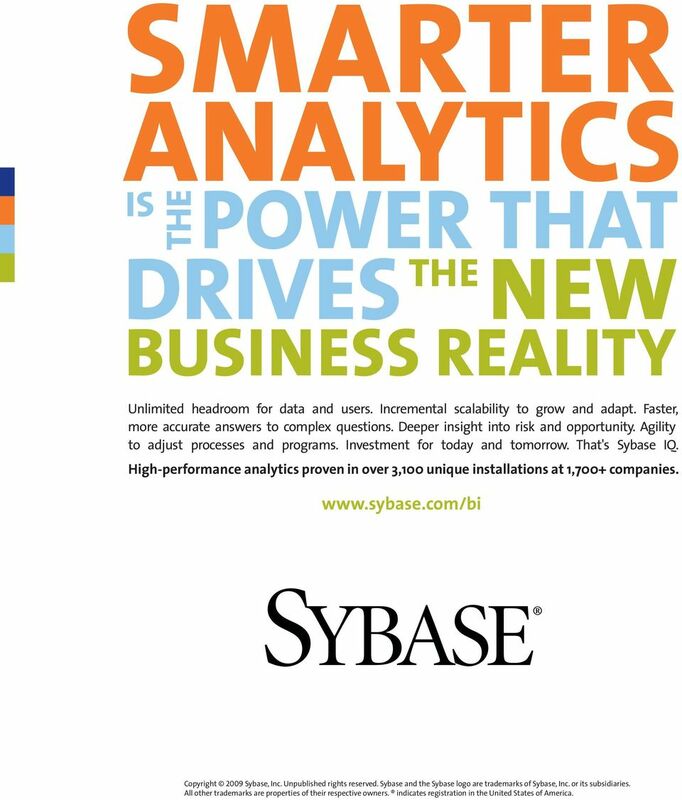 Sybase and the Sybase logo are trademarks of Sybase, Inc. or its subsidiaries. All other trademarks are properties of their respective owners. indicates registration in the United States of America. E-Book. 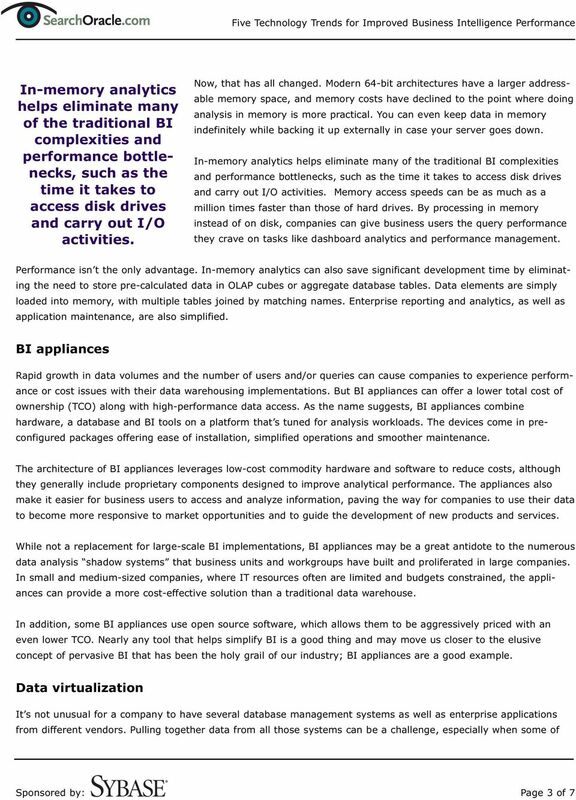 Get important background on the technology, with an overview of the data warehousing appliance market and a brief history of its evolution. Advanced Analytics for Financial Institutions Powered by Sybase IQ on HP Servers product brochure www.sybase.com Over the past 18 months the global financial industry has gone through a huge transformation. 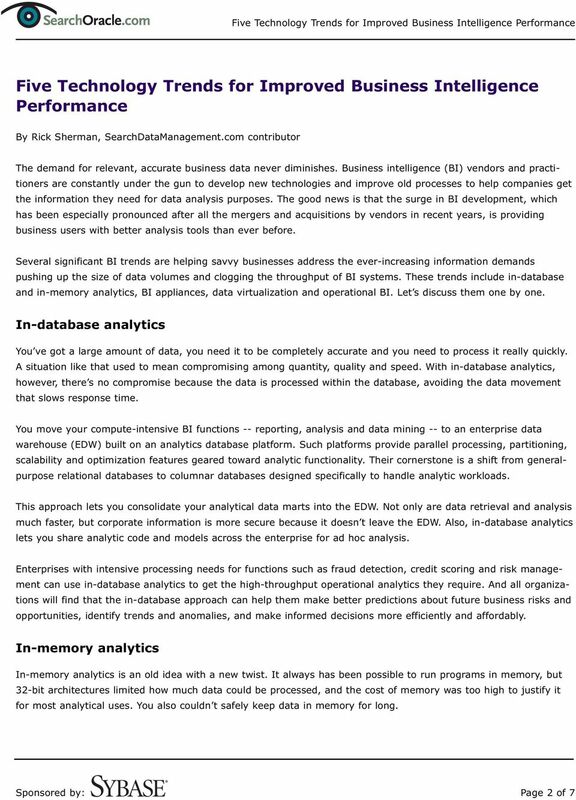 SAP HANA Power of In-Memory Computing. 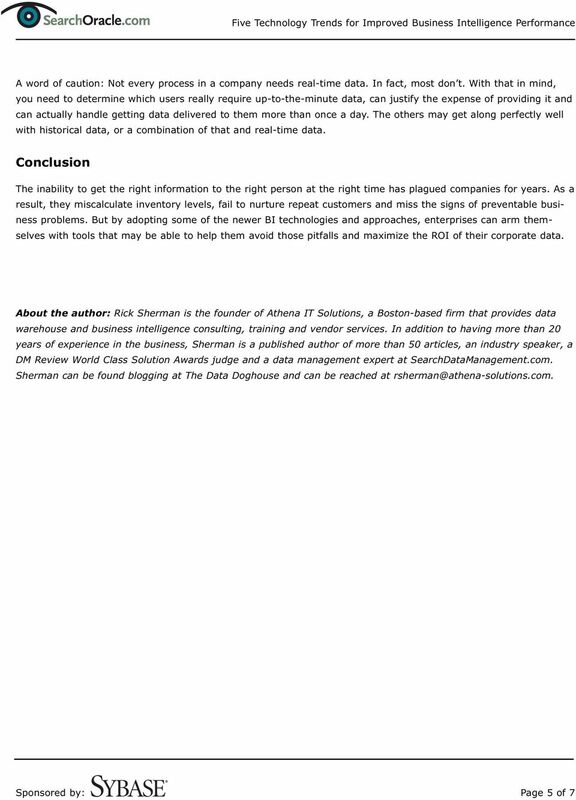 Boonchu Chumsantivut Solution Advisor, SAP Thailand Ltd.
IBM x86 Servers in the Cloud: Serving the Cloud February 2012 TBR T ECH N O LO G Y B U SI N ES S RES EAR CH, I N C. 1 IBM System x Cloud White Paper February 2012 2012 Technology Business Research Inc.